The original Subaru Forester range was topped off by a pokey petrol turbo model. So is the fourth generation line-up. Jonathan Crouch drives the Forester XT. 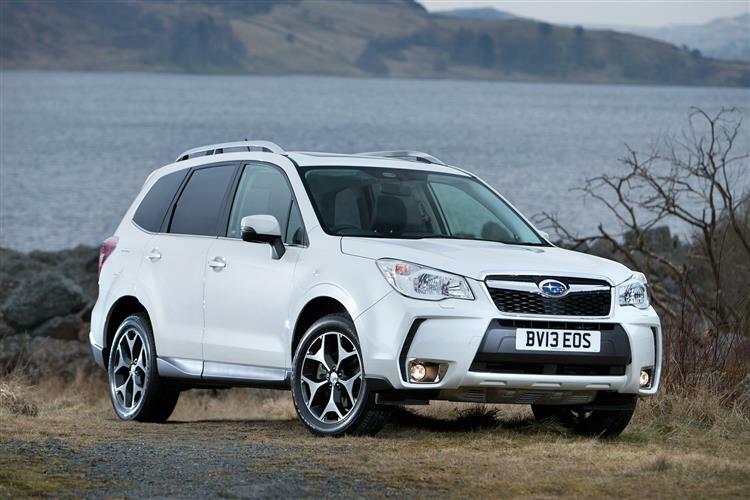 It took a while to warm to the third generation Subaru Forester but this fourth edition is a far more appealing thing. The styling's been toned down and the technical ability ramped up. There's also the return of the turbocharged Forester XT alongside turbodiesel and normally-aspirated all-wheel drive models, a car we're going to try here. 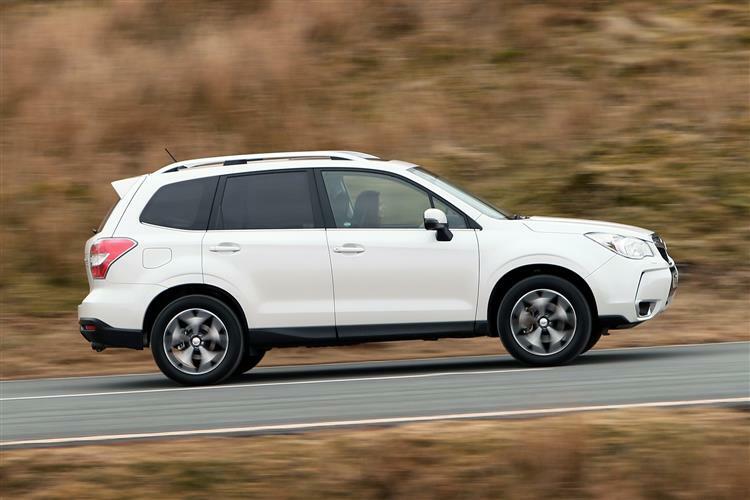 "Subaru is now defined as an SUV company and this Forester is the cornerstone of that product offering." Those words from Subaru's UK managing director did two things. The first was to bring a curtain down on the reign of the Impreza as the company's iconic car. The second was to bring to the fore the Forester, a car that had largely excelled at hiding its light under a bushel. No longer. This one's now front and centre.Although its fairly generic SUV silhouette doesn't appear to differ too much from the third gen car, make no mistake, the underpinnings are wholly different and the detailing is a lot smarter. Efficiency has been improved and for those that like to pedal on a bit, there's the return of the XT turbocharged version we're looking at here. Subaru might have become a bit more sensible of late, but it's still a company that can't resist engineering a degree of fun into its wares. 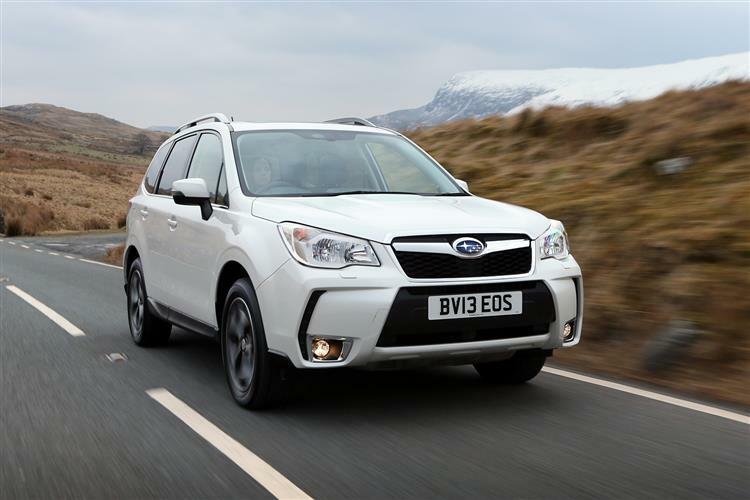 The Forester XT's 240PS turbo petrol engine is a peach, getting to 62mph in just 7.5 seconds and running on to a top speed of 137mph. The addition of a turbo makes it feel so much brawnier than the breathless lump in Subaru's BRZ sportscar and the Lineartronic CVT transmission is paired with X-Mode, a whole suite of electronics designed to get the best traction off road. On tarmac, the body control is excellent even when taking liberties in corners and visibility is excellent. The steering could use a little more feel but that's a minor gripe. The Mazda CX-5 just got a serious rival for the title of best handling SUV. You'll be surprised in fact by just how far you can go across poorly surfaced terrain. 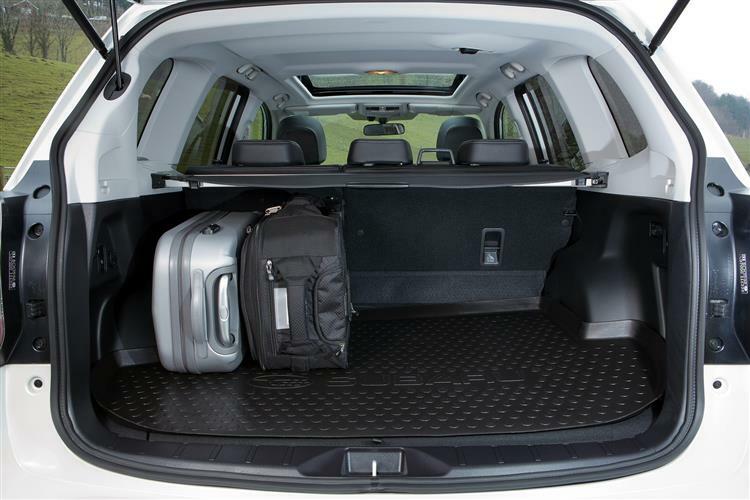 But of course, the terrain you're most likely to be using in your Forester will usually be tarmac-covered. Just as well then that, in a Lineartronic XT auto model at least, you'll be able to set your car up for that too, thanks to 'SI-Drive', the 'Subaru Intelligent Drive' system accessed via this steering wheel switch. Here, there's a basic choice of the efficient 'Intelligent' 'I' setting you'll use most of the time and the 'S Mode' that improves throttle response and allows you to play with the gearshift paddles across six simulated gears. 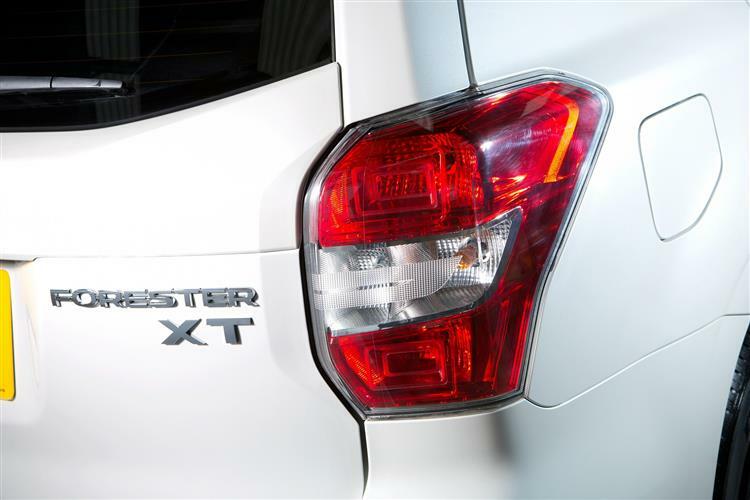 This XT petrol turbo model adds a third 'S#' Mode with eight simulated gears and sharper engine and throttle response. Sit this fourth-generation car next to its predecessor and it actually looks less adventurous. A bit more generously proportioned maybe, but a lot of the more overt detailing has been toned back. It's still a fairly good looking thing but it's no head turner. 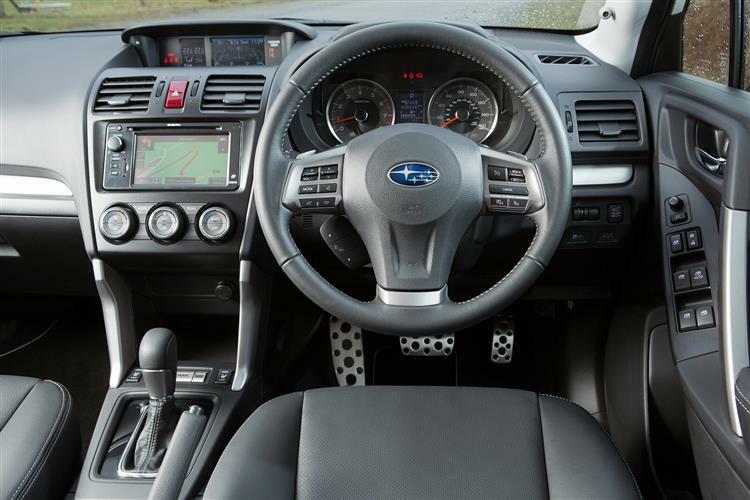 The interior has come on leaps and bounds though, with Subaru wisely investing in the 'touch points' such as the steering wheel, handbrake and gear shift, while optimising the switchgear feel of all other controls. Those of you who remember Subaru interiors feeling about as plush as a Photo-Me booth will appreciate the use of higher grade materials on the dashboard, the centre console and doors. Some of it still looks a little Japanese generic and it does look a whole lot better with a touch screen in the double DIN entertainment slot. There's plenty of room inside. The third generation Forester found itself outclassed by cars like the Toyota RAV4, the Honda CR-V, the Land Rover Freelander and the Nissan X-TRAIL when it came to interior packaging. Subaru has taken that lesson on board and the result is that there's a 23mm increase in rear legroom, while the base of the A-pillar has been moved forward 200mm, improving visibility and creating a sense of spaciousness for front seat occupants. The overall width of the cabin has grown 20mm to 1,540mm, increasing the distance between the driver and front passenger seat to bring about best-in-class shoulder room and elbow space. 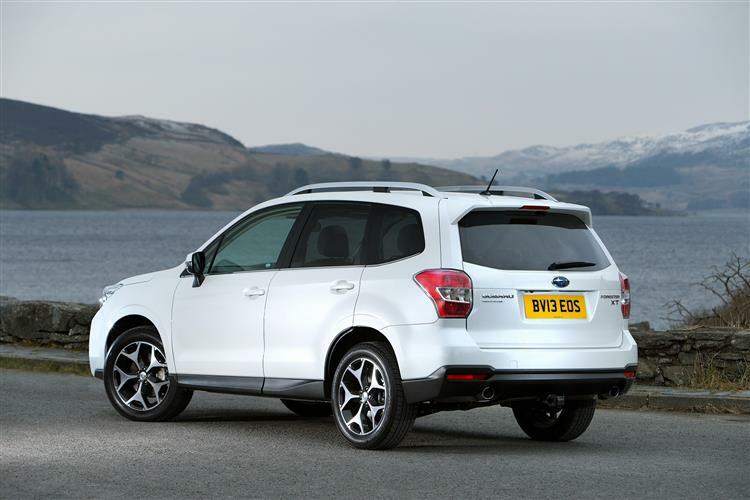 Compared to the previous Forester, boot space is enlarged by 12 per cent, from 450 to 505-litres. 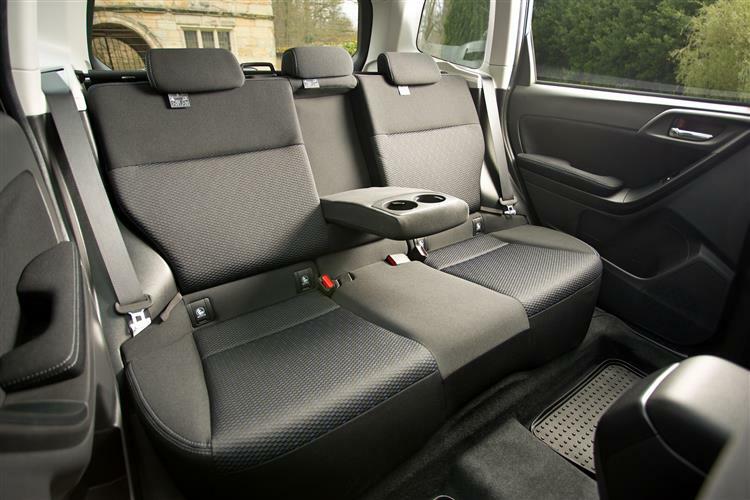 When the rear seats are folded down, boot space increases to 1,592-litres, giving an immensely usable area. There's even a powered tailgate that Subaru are very proud of, although it is painfully slow to operate. 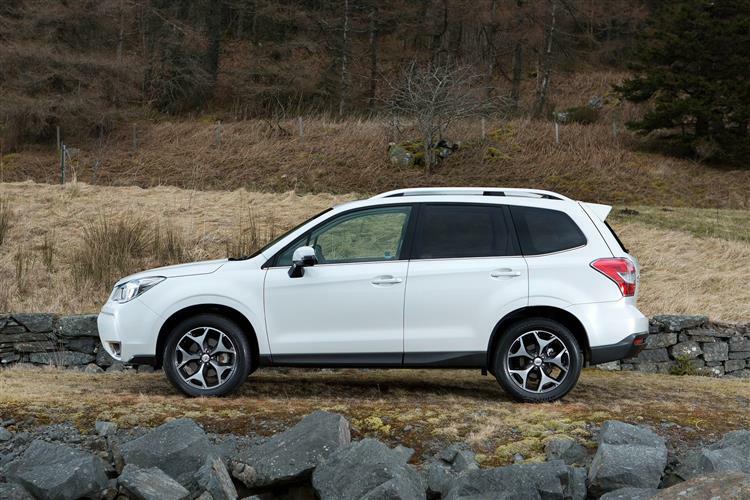 Though Forester motoring starts at around £25,000, you'll need around £31,000 for this flagship petrol turbo XT model. Still, it does cone well equipped with niceties like automatic auto-levelling HID headlamps, power-folding mirrors, auto wipers, cruise control, an eight-way power-adjustable driver's seat and one of the largest electric sliding glass sunroofs in the segment. Plus Lineartronic CVT auto transmission with X-Mode 4WD. As for safety, well a full five star Euro NCAP rating is justified by a kit rosta including twin front, side, curtain and knee airbags as well as all of the usual electronic assistance for traction and braking along with VDC stability control that also operates the emergency brake assist system. There's also a Trailer Stability Control system which will interest owners wanting to exercise the usefully broad 2000kg braked towing limit. Plus there's an energy-absorbing brake pedal, front seats with energy-absorbing backs, anti-whiplash front head restraints, ISOFIX childseat fastenings and pedestrian-friendly design for the front bonnet and bumper. Foresters used to have a dreadful reputation as unreconstructed fuel hogs but much has changed. Normally, a more capable car is a more expensive one to run. You'd certainly expect that the permanent Symmetical 4WD system of this Forester would exact more of a fuel and emissions penalty than would be found on most other rivals, cars that trundle around in two wheel drive most of the time, with all-wheel traction only being introduced when needed. Thanks to enhancements like an Active Valve Control System for the exhaust, electric power steering and low rolling resistance tyres, the figures suggest otherwise. This XT petrol turbo returns 33.2mpg on the combined cycle and 197g/km of CO2. A useful rotating fuel economy gauge keeps you in touch with how close to your current average consumption figure you're getting. That only leaves insurance groupings - set at group 34 for this top model - and the peace of mind of a five year / 100,000 mile warranty. Subaru must be getting fed up with the Forester's reputation as a bit of a sleeper vehicle that only really appeals to a clued-in minority. It's had a tough time in recent years due to Subaru's pricing, the company held at the mercy of the strong yen, but things have changed in that regard and prices have come down. Or at least they have when it comes to most variants of this car. The XT petrol turbo we've been looking at here is still a premium cost product but it undoubtably offers more capability than many obvious rivals - Volkswagen's Tiguan R-line 2.0 TSI 4MOTION DSG for example. 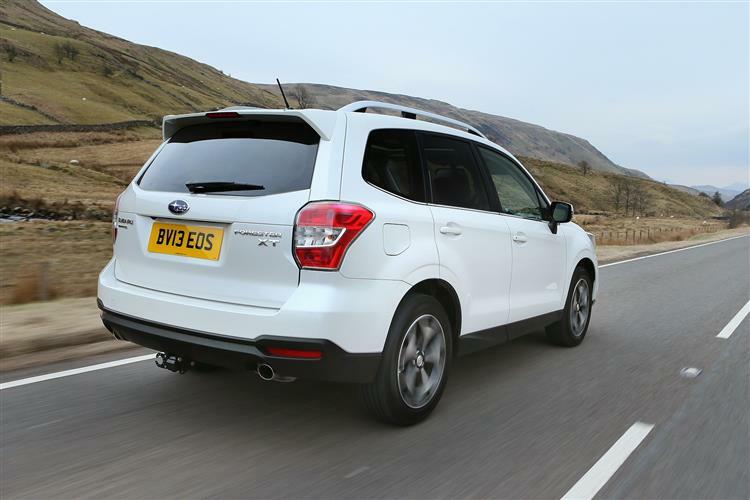 Of course, without the marketing might of a Ford, Volkswagen or Toyota, it's tough for Subaru to communicate that fact but the truth is that this car handles well both on and off road, is well equipped and is reasonably priced for what you get. And overall? Well this Forester emerges as one of the best cars in its class if you really plan on using it to its full potential. If you want something tough that won't make you feel like you're roughing it, the Forester is about as good as it gets.